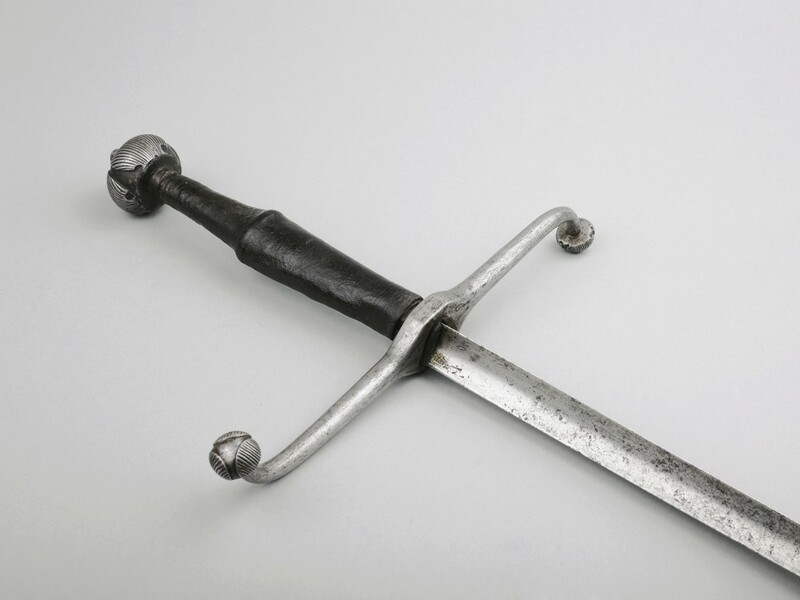 The Estoc, also dubbed the Tuck or Panzerstecher, is a two-handed thrusting sword, from the 14th-17th centuries. To this day the Estoc is often mistaken for a long sword or rapier. This was a weapon made to defeat opponents wearing heavy armor. The blade normally had no edge and was designed to deliver terrible stabbing wounds. The rigidity and durability of its triangular point pierced mail after finding entry through seams or joints. As a sidearm that specialized in defeating armor-clad opponents, it was not terribly common. Although it was a weapon of war, the Estoc was occasionally used in some tournaments. The combatants sparred with the dull blade without fear of seriously injuring each other. This approach translated to the battlefield as a makeshift club to beat on an opponent in a real confrontation. The Estoc also found use by some cavalry as a light lance. That said, it was not a replacement for a slashing sword or similar weapon. Instead they were a complement to a warrior’s tool belt of arms and equipment. Properties: Armor Piercing (Advantage against opponents using Heavy Armor). *Special: The Estoc can be used as a club for 1d6 bludgeoning damage. It does not benefit from its Armor Piercing property when doing so. Cost: 200 GP (They are hard to find).